“Christmas is for the children” quotes Robert L. Yupangco, CEO of Zoomanity Group, one of the leading companies in the theme park industry. 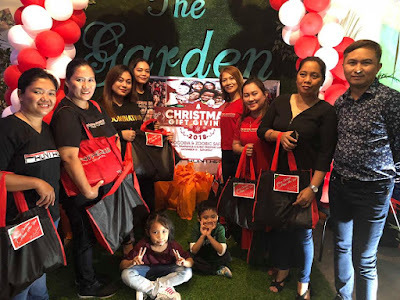 With this in mind, the company is taking the opportunity to give back the happiness and blessings to less fortunate children this season of sharing and thanksgiving. Mr. Yupangco emphasizes that the kids of team shall be the one who will personally give the gifts to teach them to help at a young age. He believes that this will start a ripple effect and will further impact the future of the kids. Aside from promoting their advocacy which is called the 4 E’s (Education, Environmental Conservation, Exhibit and Entertainment) the company believes that it is part of their corporate social responsibility to give happiness to those kids who need it the mon st. Through one charitable activity called “Christmas Gift Giving”, Zoomanity Group chose sets children from different foundations, annually to experience a whole day of fun, love and care in their theme parks. This year, over 500 kids will get a chance to have a free entrance to all Zoomanity Parks and enjoy one exciting day of interaction with their favourite animals. Different gifts will be given away plus exciting shows will be held. 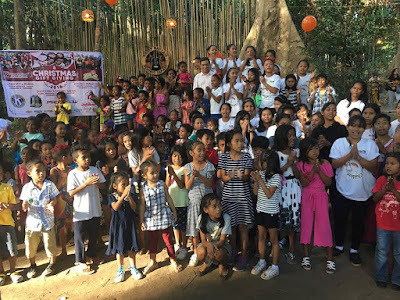 From Ruins at Metropolitan Avenue this coming December 13, to Zoocobia Fun Zoo and Zoobic Safari on December 15 and Paradizoo and Residence Inn on December 16, we will make sure that these less fortunate children will really feel the essence of Christmas and that is to be loved and cared for. Zoomanity would like to thank everyone including the family and friends of Sir Robert who supported and helped make this Christmas Gift Giving such an exciting, rewarding, and productive event. This series of activities will surely give them a lasting memory of happiness. For more details, call 2193503 or visit our website www.zoomanity.com.ph. The Pasig River Rehabilitation Commission (PRRC), in collaboration with the Local Inter-Agency Committee of Manila, relocated more informal settler families (ISFs) along the stretch of Estero de Magdalena, Manila today, July 3. According to PRRC Executive Director Jose Antonio "Pepeton" E. Goitia, up to 40 families would be initially transferred to the relocation site in Trece Martires, Cavite. While the remaining 60 families were scheduled to move on July 10 to their new houses in Summer Home, Trece Martires, Cavite. Goitia said that before the relocation, the families were accompanied and assisted by PRRC in various community dialogues and ocular inspections as part of their social preparation. They were also provided with 40 trucks and vans as they move to the relocation site. The Department of Social Welfare and Development – Manila likewise provided each family with food supplies such as rice, canned goods and coffee. Other entitlements included livelihood assistance and disaster preparedness training. From November 2015 to September 2017, PRRC already transferred 1,009 ISFs out of the target 2,015 to various relocation sites in Bulacan. Goitia said it was important for the ISFs to leave the estero because they had been long exposed to the dangers of leptospirosis, diarrhea and other waterborne diseases. In addition, they caused heavy pollution of Estero de Magdalena, which flows to the Pasig River, that no amount of cleanup operations solved the garbage problem in the area; hence, the relocation. 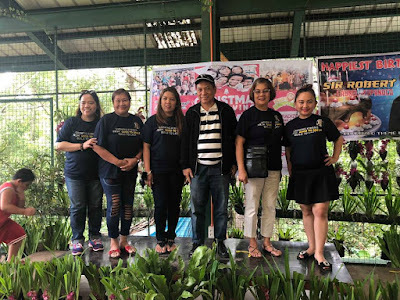 It was only last June 13, 2018 that the PRRC conducted a massive clean-up operation with the Metropolitan Manila Development Authority (MMDA), local government unit of Manila and several ISFs in Estero de Magdalena to prevent the flooding in the area. "So these ISFs really must be relocated because they are also causing the mountains of garbage here," Goitia said. Once all the ISFs are removed, the PRRC can already begin the construction of the linear park along the estero as it did in Estero de Pandacan, Estero de Paco, Maytunas Creek, Estero de San Miguel and many other once-polluted waterways. The government allotted P 17 million for the rehabilitation of Estero de Magdalena into an environmental protected area. Furthermore, the PRRC and MMDA jointly dismantled their informal settlements with consent from the families to ensure that they would not return to Estero de Magdalena. Trece Martires Mayor Melandres G. De Sagun welcomed the families in Cavite and ensured that their houses were in good condition, and accessible to important facilities like hospital and school. Mayor Carmelita "Menchie" Abalos expressed her gratitude to PRRC Executive Director Jose Goitia and to all PRRC employees for their efforts in cleaning and developing the Maytunas creek. The developed Maytunas creek linear park has been opened to the public since February 24, 2016. The PRRC installed waste water interventions at Maytunas creek such as bioremediation and interceptor canal. According to Goitia, the said creek's 1,368 linear meters of recovered easements also feature solar-powered and electric lighting fixtures, paver blocks, concrete bench, railings, and ramp for persons with disabilities. Prior to its rehabilitation, Mandaluyong LGU's environmental management department head Emmanuel "Sonny" Oblea shared that they used to receive numerous complaints about the massive volume of wastes in Maytunas creek. Mandaluyong City likewise installed trash traps before but their efforts were unsuccessful due to the massive amount of garbage to clean. "Hindi pa 'to [inter-city installation of trash traps] nagagawa, naglalagay na kami ng trap. Sa loob ng isang buwan, apat na beses na naglilinis kami because of numerous complaints," said Oblea. Oblea pointed out the important role of PRRC's leadership and interagency cooperation in rehabilitating the creek that has prevented the flooding in the area. "But because of the project of the PRRC again, inayos nila yung aming Maytunas creek. I think last year, wala na akong natatanggap na reklamo tungkol sa mga basura na nagka-clog doon sa aming part of Maytunas," Oblea stated. Maytunas creek is one of the 47 identified tributaries of the Pasig River system.